The new McLaren 720S Spider isn’t exactly wanting for power. Just like the coupe, its 4.0-litre twin-turbo V8 is good for 710bhp (or 720PS, hence the car’s name). But here’s something you may not know: all of that power is sent to the rear wheels via an open differential. It’s the same case with McLaren Automotive’s entire line-up, plus all of its previous vehicles. Yep, even the mighty P1 used an open diff. 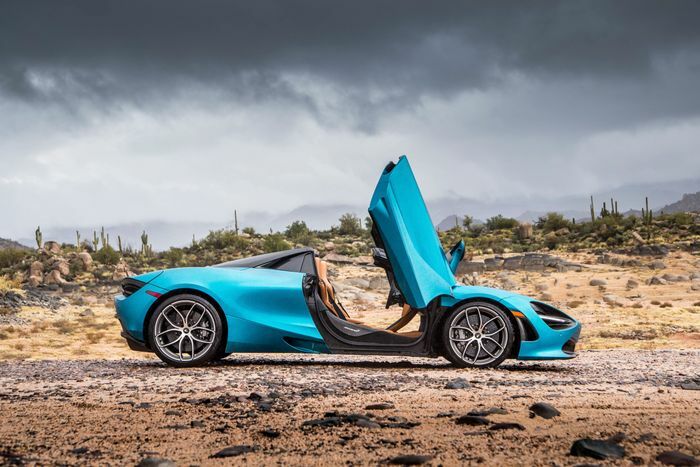 At the launch of the 720S Spider in Arizona this month, Ian Howshall, Global Product manager for Super Series, told us why. “If we have a limited-slip different or an e-diff, we add weight,” he said. So, the solution is to not add one at all, and rely instead on torque vectoring by braking. “What the brakes do is grab the inside wheel to help the car rotate. Because you’re using components already there, you’re not adding any extra weight,” he added. An open differential allows the amount of torque delivered to either driven wheel to vary, but this isn’t controlled - torque will merely find the path of least resistance. That’s why you’ll sometimes see open-diff cars lighting up only one wheel (or ‘one tyre fire). A limited-slip differential is introduced to help distribute the torque, either through a traditional plated differential which will lock at 50/50, a geared diff like a Quaife ATB or Torsen which can send more than 50 per cent to one wheel, or an electronically-controlled ‘e-diff’, some of which can deliver as much to 100 per cent to either side of the axle. What McLaren’s system does is mimic the operation of differentials like these, effectively changing torque distribution using brake applications of varying severity depending on the driving conditions. The tech - perhaps inevitably - has F1 origins, and it just so happens that it was the McLaren F1 team which pioneered it. 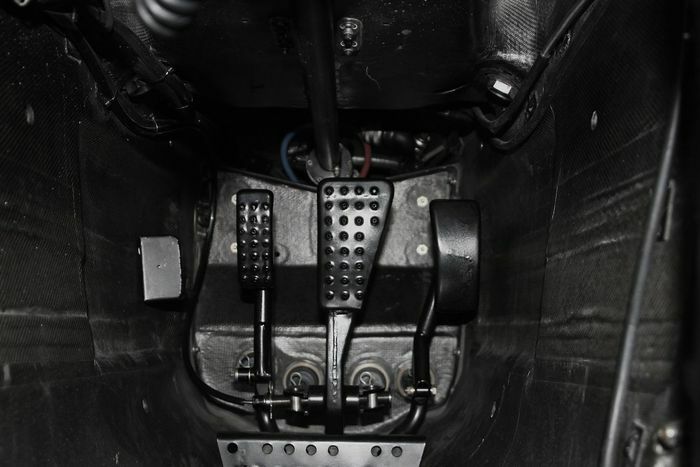 The MP4/12 ran with an additional pedal which would operate only one rear brake, with the team deciding which side it would actuate depending on circuit layout. It was used for a good chunk of the 1997 season, and to great effect - Mika Hakkinen went half a second quicker during the tech’s first test at Silverstone. The cost of this huge time-saving? A pittance, in the world of F1. It was made using “fifty quid’s worth of parts that we already had in the truck,” McLaren chief engineer Steve Nichols once said. F1 snapper Darren Heath outed the unusual solution when he noticed a McLaren with a glowing rear disc mid-corner, rather than before it. Other teams weren’t happy, with Ferrari’s Ross Brawn referring to the system as a “fiddle brake”. 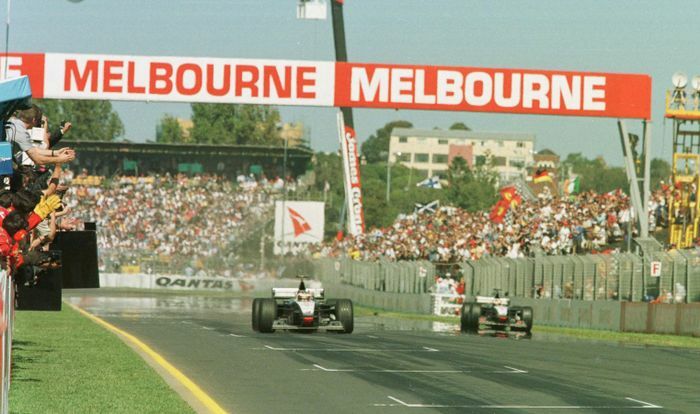 Although it wasn’t against the rules, it was banned early on in the 1998 season. As with a lot of outlawed F1 tech, it would have a future in the world of road cars. Brake-based torque vectoring systems are no longer cutting edge, though - plenty of cars from all different ends of the market use them, so what’s makes McLaren’s better than most? “It’s more effective with our cars, [because of] the tyre performance, the power the brakes, the weight of the car - it really helps it rotate and you can feel it when it happens,” Howshall said. The weight and simplicity arguments are strong, however - the lack of LSD is part of a wider focus on keeping the bulk down. This makes McLaren’s supercars lighter than much of the competition, and in any case, the stance is unlikely to change, not only because Woking’s current generation of seven-speed dual clutch gearboxes is designed to work with the brake-based system. Perhaps with the exception of the Ultimate Series, every one of McLaren’s cars will be electrified to some extent by the end of 2025. “If you’re adding e-motors into the equation, there’s even more scope for torque vectoring,” Howshall concluded.